"Amazing to work with! Very responsive and goes above and beyond!" "Kerri is amazing to work with! She was very responsive and she goes above and beyond for the people she works with! I wouldn’t want to work with anyone but her! She is awesome!" "Kerri: Very Knowledgeable of market, very good in pricing of property, very good inputs at critical times within the process of selling. I would highly recommend Kerri!" "Kerri was awesome throughout the entire process. She made herself available at all times as we got prepared to list, show, and eventually close on the sale of our home. I am convinced that we would not have gotten the price we received without her." "5-star treatment from the Kerri and Kim at @properties! Extremely knowledgable and professional duo that made what typically can be a stresfful situation very smooth. I would 100% recommend to everyone I know if you're in the market for a great Realtor. Great job!" "Kerri and Kim are the best. They went the extra mile to make sure my place showed well (e.g., finding professionals to paint the ceilings). They were excellent in communication with both me and the prospective tenants, and as a result they were able to find a high quality tenant for my condo. I have worked with Kerri and Kim for the past 10 years, purchasing multiple properties and finding tenants for those properties, and they have also been the perfect blend of friendly, professional and effective. I strongly recommend them." "Kerri truly knows her stuff! Her expertise is comforting, and her sincerity is evident in everything that she does. She is refreshingly personable and very enthusiastic about the Chicago real estate market. Working with her has made me feel well taken care of, informed, and understood. I'd highly recommend her to others!" "Kerri was extremely helpful when we were looking for an apartment to buy! She was very knowledgeable about different neighborhoods and provided us great direction. She not only was attentive to the type of apartment and needs we were seeking but she was very timely and prompt with communication and showings. We would recommend Kerri a million percent!" "What can I say about Kerri that will actually convey how amazing she was during my first home-buying experience? It's tough.. but I will start by saying I would absolutely still be wasting cycles trying to figure out where to start, and thinking "can I do this?" if she was not around. Kerri is knowledgable in all aspects of the process, and makes you feel like you are working with a friend, rather than a realtor. She has your back and will work to ensure you sign on a place that is perfect for you. She is communicative (text, call, carrier pigeon..) at the right times to ensure everyone is on the same page on what needs to get done.. but NEVER makes it feel like she is pressuring you to meet "her timeline." I couldn't be happier with my experience, and would recommend Kerri to anyone looking to purchase a property. Thank you!" "Kimberly and Kerri make this look too easy. They simply amaze me everytime I do business with them." "AMAZING realtor. I highly recommend Kerri. She recently sold a condo for me in less than two weeks for a great price. She knows the market, she knows her clients and she knows how to get the job done. Go with Kerri and you will not be disappointed." "Very knowledgeable and a pleasure to work with! Kerri is on point. She is able to sort and hand pick the perfect homes for us saving us the trouble of browsing thousands of listings in Chicago. She always connects us with the best properties and knows exactly what we are looking for." "Kerri is an extremely hard worker and is very dedicated to her craft. She goes above and beyond for all of her clients. She found us the perfect place in the perfect location, and for the perfect price. She is very prompt and responsive to all inquiries and or questions, and she makes you feel at ease throughout the entire process. Kerri is the only broker that I would recommend to friends or family. Five Stars. Thumbs up. Thank you Kerri!" "Kerri was so intuitive. She knew more about what we wanted than we did. House hunting gets exhausting and can take over your life. But with Kerri we never had that issue. She shouldered all of the burden and didn't waste our time showing us things that weren't the right fit. Without her I'd have given up on finding a home, but fortunately she found us the perfect place!" "We were looking to lease a condo in downtown Chicago. Kerri was amazing at identifying properties that were right for us. She. Was also amazingly persistent at getting all the needed paperwork for the transaction done quickly." "Kerri has been renting my condo for me for nearly ten years. She has gotten me wonderful tenants and always given me the best advice. She is honest and knows her stuff. She also has lots of contacts, so always ask her for advice before you sell, rent or go into forecloser/short sale. She does it all and knows it all!" "Kerri was excellent. She was very responsive and helpful, may be a little quick to suggest lowering the price, but backed right off when we said no. She is a an excellent negotiator. I highly recommend Kerri." "Kerri went above and beyond for me, my wife and our 12 year old son. She is the most professional, enthusiastic, energetic, and determined Broker I've ever had the pleasure of doing business with. She found us a great place in the loop that we all absolutely love. Five Stars. Thank you Kerri!" "Kerri was a pleasure to work with.she got our condo sold very quickly.what I appreciated most is how much she cared & went above & beyond for us!!! "Kerri was wonderful to work with! Available, knowledgeable, honest, smart - a great great experience and realtor!" ""Kimberly and Kerri offer a one-two punch that can't be matched! I'll recommend them to anyone who is looking to buy in the Chicago area! "Maher first hired K & K in 2011; hired more than once~Buyer Representation"
""Kerri was absolutely fantastic in helping us find a place to live after our relocation to Chicago. While we had some exposure to the city, we had a lot of questions when it came to neighborhoods and what to expect out of the search process. She listened to all of our needs and concerns while constantly updating and tweaking the search profile to create our viewing list. We quickly found "the one" for us and Kerri helped "fight" for us all along the way. Even after we signed for the condo, Kerri continued to follow up and make sure that everything was as it should be and to correct any issues that came up, even though it was someone else's fault. She truly went above and beyond her duty and made the whole process enjoyable, which is a feat upon itself. "First hired Kerri in 2012; hired Kerri more than once." "THANK YOU , THANK YOU , THANK YOU for being so wonderful during process of buying my properties. I am really excited now to move on with my life and you both were an integral part of this. I will refer you to all of my friends and I have plenty that will take my opinion to heart. There are a few things that stick out for me that I want to share with you as to why I would refer you. You are bulldogs	You follow through	You follow up	You care	You explain	You give go the extra mile	You remind me of ME (haha but seriously I am the same way with my customers) and I expect that same level of service	You make a great team! Most importantlyI TRUST YOU. Kerri,To you, thank you for thinking of me as you knew what my needs were and you kept me in your daily deals that came across your email. That is a sign of a true partner and someone that I was committed to work with. As I told Kim today, I had a lot of people coming to me wanting me to sign them up as my agentbut it was a no brainer as I told you I would work with you from Day 1. Reason wasI saw you had the drive and interest to make this happen and I TRUSTED you"
"Kerri was great at identifying the type of condo we would like. Her follow up to make sure the lease got finalized was amazing." "As a foreign buyer, it is already hard to start off the searching process. Kerri called me at a Saturday night and we discussed about our strategies. My personal opinion, few realtors work as hard as Kerri and fewer have her type A personality. She cares about her clients, and gives very professional, honest advice. You will close your ideal home with her as your partner." "I have known Kerri for a long time. I was confident she and her partner Kim would best represent the property I was selling. Although I live out of state, she and Kim kept my best interest in mind and were able to facilitate the closing around a work conference I had in while in town. Kerri is listing another property I have in the area and I know I can expecting similar results." "Kerri was the perfect agent for us. She listened to what we were looking for and found the perfect properties for us to look at. She worked hard on our behalf with the sellers brokers to make this a great experience. Wouldn't have wanted to go through this process with anyone else!" "Kerri is very passionate about her clients, and it shows. She was with us every step of the way, and did not disappoint. We have used Kerri's expertise in 2 real estate purchases, and 2 sales. Our most recent sale was smooth and seamless. We are grateful for Kerri!" "This is the second home we purchased from Kim and Kerri and they are the best sales reps I have ever dealt with. They had answers to all questions and response was always on time. They made us feel like family , I will be sending them anyone I know who is looking to rent or buy in Chicago or suburbs. Keep up the GREAT Job thanks for all your help and good luck in the future. Thank you." "Always enough communication. Was very helpful when negotiating our purchase price and initial offer. Full of energy!" "We were referred to Kerri by a friend who had amazing things to say about his experience working with Kerri. It didnt take long for us to understand why Kerri was so highly recommended. This was our first home purchase and from the beginning Kerri was very professional and supportive in walking us through the fundamentals of the home buying process and the Chicago market. Kerri was very genuine in getting to know us, both from a relationship aspect as well as to understand what our preferences were so that she could find us the perfect home. Throughout the process I did not hesitate how to contact Kerri with even the most basic question. She is very responsive, thorough, and honest in her responses and throughout the whole process. Kerri is also a strong, knowledgeable, and trusting voice to have in your corner when looking at properties, drafting the offer, the inspection, and even up until the final signatures at closing. She is also very fun to spend the day with seeing potential homes! Kerri greatly exceeded our expectations and we cant t thank her enough for finding us the perfect condo. She made the process so easy and Im so glad we were referred to her. I will be recommending Kerri to anyone who is looking to purchase a new home." "Kerri is an exceptional agent because she really cares about her work and her clients. She went above and beyond what would be expected on not just one but several occasions. She was so helpful to me every step of the way. I'm really happy with the outcome and highly recommend her services." "Kerri was a consummate professional throughout the process. Because the buyer was living overseas for a great deal of the process, Kerri was willing and able to work long and odd hours to bring this deal to a close." "5-star treatment from the Kerri and Kim at @properties! Extremely knowledgable and professional duo that made what typically can be a stresfful situation very smooth.I would 100% recommend to everyone I know if you're in the market for a great Realtor. Great job!" "Kerri was not only extremely competent as a realtor and knowledgeable about Chicago, but also super friendly and helpful. She went out of her way to make sure I found what I can only described as my dream apartment! I highly recommend Kerri to anyone who wants to find their true home in Chicago." "The broker's pricing was just right for this market. Although it cost a bit extra, she was quite right in encouraging me to move many things out of the apartment in order to make it look more spacious and attractive to potential buyers. She also kindly provided a blowup bed for the second bedroom so buyers could see how that room could work as either a bedroom or an office. The brochures with the excellent photos were very quickly and well produced. I thought they were quite impressive. Naturally I was pleased that the apartment sold so quickly and at an acceptable price. Thanks Kerri and Kimberly!" "I have dealt with over 7 brokers in my life and I can honestly say the Kerri Hallden was the best I have ever worked with. She is a friend but that doesn't taint my opinion. I had dealt with another friend several years ago and that experience was a disaster.Kerri is a real professional and made my experience a pleasant and fun one rather than stressful. She communicated with me on a daily basis. I would recommend her to anyone who is buying or selling a property. I, personally, would never use anyone else." "Kerri is simply the best. She want way above and beyond to help me rent out my condo for an excellent price in just a little over a week. This included (in addition to showing to the property) putting me in contact with people to clean the condo, meeting with maintenance people at the condo, and even contacting glass suppliers to help me find a custom backsplash replacement. She handles the lease and served as the point person to deal with my condo association, which made my life much easier :-) I have also worked with Kerri previously in purchasing my condo and she showed the same determination and professionalism in helping me find the right place for me (again at a good price). On top of this she is just a fun and lovely person to work with. She has a great sense of humor, a good heart and knows real estate as well as anyone. She will make sure you get the best property at the best price (buying or selling)and she will make the process as painless as possible. Needless to say I would use her again in a heartbeat. She has my highest recommendation and my utmost appreciation." "Kerri Hallden and Kim Oehmke have been my brokers over the past 8 years. They are very knowledgeable on the market and have gone beyond their duty when assisting me with my real estate transactions. I would highly recommend!" "As first time home buyers, Kerri's availability and advice was priceless in finding a home and negotiating the terms of an offer. Her helpfulness did not decrease when our offer was accepted. She continued to work closely with us through the entire process...securing a loan, home inspection, attorney review, etc. Kerri is extremely friendly and professional. We have and will continue to recommend her to friends and family." "Kerri was great! She helped us market the condo and obtain a renter for our furnished condo quickly outside the normal rental season. She was available for any questions, marketed constantly, and negotiated the lease to benefit us. In addition, our tenant seems to be terrific. She also worked well with the property manager to have all the details completed quickly. I would recommend her to anyone wanting to rent or sell their property in our building or elsewhere." "Kerri was very proactive and responsive to our requests throughout the process. Every step was explained in detail and she negotiated a very good deal for us." "Both Kimberly Oehmke and Kerri Hallden are very professional and knowledgeable. In particular, I approached Kerri initially because she helped me look for a property and she was totally impressive. Kerri is very professional and always responds to my questions/requests very timely!" "Kerri and Kim did an amazing job from the listing process all the way through closing. I would highly recommend Kerri and Kim to anyone looking to sell or buy a home." ""Kerri was a joy to work with. She was always on time, responsive to all questions, and had a positive professional attitude throughout the process. I would easily recommend her to any one of my friends, co-workers, and close family." Hired Kerri Aug, 2013-Buyer Representation"
""Kim and Kerri did an amazing job providing me with all the information (both official and unofficial) that I had to know to make the right decision in selecting which home to purchase. They did not push me to settle for a house but was patient and encouraged me to make sure I wanted to buy before making any decisions. Also, I greatly appreciated Kim and Kerri's almost immediate response to all of my (important and inane) questions. I definitely recommend Kim and Kerri for anyone who likes to work with professional, caring, and knowledgeable brokers. "Dan hired K & K in 2012; Buyer Representation." ""We loved working with Kerri and Kimberly! They were great at understanding what we were looking for in our first home and helped us search Chicago until we found the prefect place. Thank you so much, K & K! "Hired Kerri & Kimberly in 2013-Buyer Representation"
"This is the second time that Kerri has helped me find an apartment and I will never use anyone else! Kerri takes so many things into consideration when assisting me, and she's always spot on! She can consider me a client as ling as she's in the business!" "Top qualities: Personable, Expert, On TimeKerri has been instrumental in providing me with real time data when making decisions about my investments in the Chicago Land area. She is punctual and always stays true to her word. I highly recommend her for all your real estate needs. John Pohlig first hired Kerri in 2008; hired Kerri more than once"
"Brooke first hired you as a Real Estate Agent in 2006 and hired you more than onceTop qualities: Personable, Expert, High IntegrityI currently manage a high-rise condominium building in the Loop. I met Kerri in 2006 and she has done a lot of work in this building since then. Whether it was for a rental or a sale, Kerri was not only extremely knowledgable about the property, she was extremely personable and reliable. I've seen Kerri go out of her way for the owners of this building hundreds of times. Most of the time the owners would not even realize that Kerri was doing extra work for them. Scheduling cleanings, purchasing shower curtains, helping new tenants get situated....these are definitely not the job duties of a Realtor, however Kerri always takes it upon herself to make sure all parties are happy and situated in their new homes. I've personally hired Kerri to rent an investment property of mine, and she quickly found us quality tenants. My husband was nothing short of impressed. I'd recommend Kerri to anyone in the Real Estate field. Thank you for everything, Kerri." "I have had great experiences working with Kerri. First she helped me find my first condo. She understood exactly what I needed and the budget I had. I got something really nice in a great condo building...a place I thought I couldn't afford..but she was great negotiating the price. Then, she helped my husband and I find the rental townhouse we are currently living in within a week. Super fast and she also negotiated the rental price for us! And finally, she helped us sell my husband's condo. She is an awesome Real Estate Agent in the city of Chicago. I have recommended her to my friends. Top qualities: Great Results , Expert , CreativeClaudia Burgos first hired Kerri as a Real Estate Agent in 2005; hired Kerri more than once"
"Top qualities: Great Results, Personable, High IntegrityKerri helped me manage 4 rental properties I had in Chicago at 1 East Scott Street. She always got me great tenants; in fact I never had a problem with any of them. All of them paid the rent on time! When I moved to Philadelphia, I never needed to worry about a thing because Kerri made sure my properties were taken care of and kept me supplied with the best tenants a landlord could ever have. Kerri Rocks! Use her! 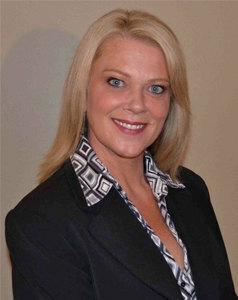 Christine first hired you as a Real Estate Agent in 1999 and hired you more than once"
"Kerri and Kim are so helpful. I was so happy to work with them. They are very patient and always provide good advice :)"
"We were kind of daunted by the idea of buying a place for the first time, but K & K helped us take care of all the really hard parts, so that shopping around ended up being an extremely fun experience. We felt like they really listened to what we wanted, and that they were committed not so much to making a sale as to making sure we got something we would really be happy with. They are really knowledgeable about the neighborhood, and knew to ask the sellers the hard questions we would never have thought of. They are tough, honest, down-to-earth, and friendly, and I would recommend them to anyone.July 2010"
"Kerri and Kim are the best Realtors I have ever worked with... and I have worked with many. I sold title insurance for 8 years to realtors and I have bought and sold over 6 houses personally. I have never worked with such an honest, trustworthy team or broker as Kerri and Kim were. They bent over backwards to make this deal close and it was a difficult one. They are the best and if you are going to buy, sell, rent, they should be your first call. Thank you, Kerri and Kim. Sincerely, Aaron McAthy"
"Jonathon hired you as a Consumer Finance in 2004 and hired you more than onceTop qualities: Personable, On Time, High IntegrityKerri's personal touch, terrific work ethic, unquestionable integrity, incredible knowledge of the industry is the reason why she should be your first choice." "Mohan first hired Kerri as a Real Estate Agent in 2006; hired Kerri more than onceTop qualities: Great Results, Personable, High IntegrityBeing a remote owner of a rental property, I really appreciated Kerri's hands-on approach from listing the unit, to coordinating the services needed to get the unit ready for occupancy to the final lease signing. On top of that, she was a pleasure to deal with. I have hired Kerri three times and would not hesitate to do so again." "I have worked with Kerri on quite a few deals now and she is always fun, energetic and enthusiastic she keeps the clients best interest in mind and is a pleasure to work with, she is a top-notch negotiator and has a vast knowledge of the real estate market in Chicago. I would recommend any clients looking for real estate to use Kerri. Andrew J. Surma , Wells Fargo Private Mortgage Banking"
"Kerry has been very good in explaining about the apartment unit and its features. She explained about the amenities to the maximum details possible. She is always online via mobile and answers to my questions over email pretty quick. She showed lot of patience and understanding towards any delay in cheque payment from my side ofcourse due to valid reasons. Overall the experience was great. Thanks Kerry for finalizing this deal for me." "Keri was absolutely the best broker we have ever used!" "Kerri was a joy to work with. She was always on time, responsive to all questions, and had a positive professional attitude throughout the process. I would easily recommend her to any one of my friends, co-workers, and close family." "Kerri was a great deal of help. Her timeliness with phone calls, email, and other updates were prompt and reassuring. Felt very comfortable every step of the way!"